Atist Refik Anadol has used the element of light to create an immersive ‘infinity’ environment that surrounds visitors in an all-encompassing spectrum of illumination. set at the SXSW festival in Austin, Texas, the installation forms part of Anadol’s ongoing research into audio/visual spaces. 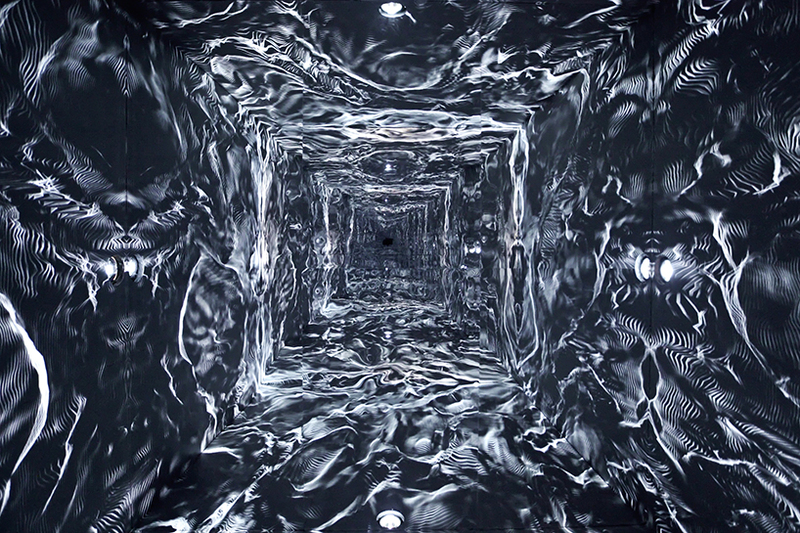 inside the mirrored chamber and through the careful programming of light, participants’ physical and mental state can be dramatically altered, creating the psychedelic perception an intangible world around them.